Property 1: Hibernation Hollow Getaway. Pet friendly. Motorcycle friendly. Property 5: NEW! Maggie Valley Cabin 1 Mi to Festival Grounds! Property 6: Newly remodeled bungalow. In fabulous Maggie Valley North Carolina. 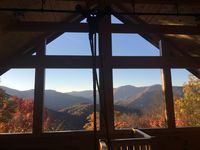 Property 11: “Living The Dream” - Private Log Cabin w/ Mountain Views Has It All! Property 13: Pet friendly..handicap access..easy winter entry..
Property 25: Sweet Serenity - an authentic log cabin, with a modern twist. 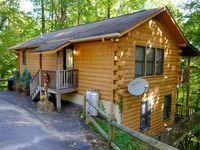 Property 27: A cozy cabin right in the heart of Maggie Valley! Property 34: Lose yourself in the clouds! Newly renovated couples get away. We so enjoyed our vacation. The best part was having a lovely place to go home to every night. We had every comfort of home. We enjoyed sitting on the deck in the late afternoon listening to the stream down below. The host was very welcoming and helpful. Thank you for a lovely stay.